UFE Seattle is the local chapter of the Union des Français de l’Etranger (Union of French Expatriates), a not-for-profit, apolitical and non-religious organization. 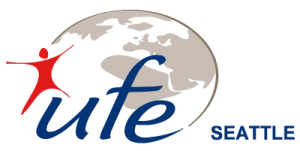 The UFE exists since 1927 and is present in 100 countries through more than 170 representations world-wide. Our goal is to welcome, support and animate the French and French speaking community in the Puget Sound area. We are a resource for French-speaking people as well as for organizations looking to reach out, for non political and non religious reasons, to this community. Free services for new comers, job seekers, baby sitting seeker and providers (French speaking), etc.